Do you have all the time in the world to complete your interior shopping requirements? Do you have a list as long as your arms and very little time to complete it? Do you end up trailing from one supplier to another in order to get your list done? Wouldn’t it be better if there was an easier way? Home & Yacht Linens and Interiors already have the largest showroom and workshop in the Med dedicated to yacht interiors with many items in stock and ready to take away. So now they are making some major changes to the online side of their business. 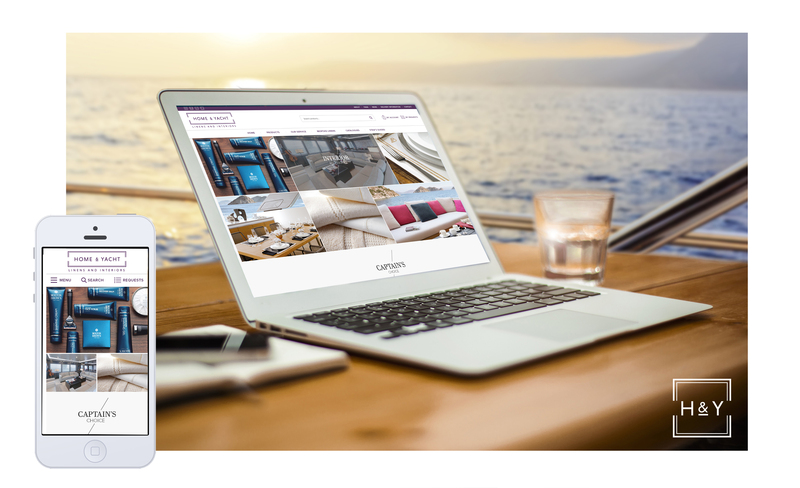 Over the last six months, they have been working with a London-based design agency to create the largest most comprehensive website tailored to the needs of yacht stews. The new site will showcase linens and yacht interior products on a more e-commerce based style. In addition to this exciting new site, the agency has already updated the company logo to give the site and business a fresh new look. Director Philip Hay comments ” This has been a huge project for us. We are attempting the seemingly impossible – to include our entire range of products and make them available on line” This is daunting task as Home & Yacht offer thousands of products from linens, tableware, silverware, toiletries, dock mats, interior accessories and much more. The new web site will show every product with details, sizes, colours and stews will be able to add any bespoke information. The stews will be able to view the products that they think they will require well ahead of the refit, save their list and then send it through to us when they know what their budgets are. It is a very complex system but we are sure that it is going to be a fantastic tool for the chief stews worldwide They can make requests to source products and send photos of items they need replacing. “We have established excellent supplier relations over the past eight years so we are perfectly positioned to help source obsolete items such as glasses and china or find a suitable alternative that sometimes has to fit a specific space” added Philip. The Home & Yacht showroom is already considered “a one stop shop for stews” and the new stew website us going to take Home & Yacht’s customer offering and service to a whole new level.